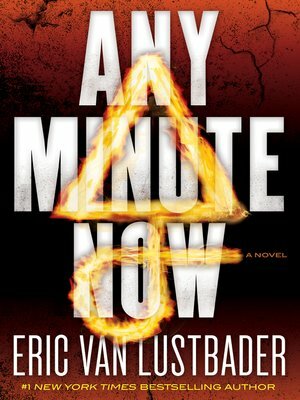 From Eric Van Lustbader, the New York Times bestselling author of the Jason Bourne series come Any Minute Now. Greg Whitman and Felix Orteño are left adrift in a world full of deathly shadows, blind alleys, and unanswerable questions. Into their midst comes Charlize Daou, a brilliant, wildly talented arms expert with a past entangled with Whit's. Though Charlie grapples with damage of her own, she becomes their new center, their moral compass, and their reason for resurrecting Red Rover. Despite Whit's seemingly super-normal abilities it is Charlie, fully rooted in reality, who recognizes that both Whit and Felix have lost parts of themselves. And it is she who possesses the true power necessary for survival: the power to heal, to forgive, and to bring these two lost souls back from the demonic spiritual darkness into which they have fallen.